If you want to, read this newsletter in web-view. I’ll be on my book tour for the next couple of weeks and I’ll be sharing with you excerpts from the book that speak to what’s going on in the world currently. As a reviewer for The Guardian recently put it, the book is in some ways, “a metaphorical survival guide for the Trump era.” While I don’t explicitly write about the president, the principles I write about help put today’s challenges in context – what do justice and the rule of law require? How do we make decisions when there is no easy answer? What does it mean to be fair-minded? People incessantly ask, “When is the Mueller Report coming? What’s taking so long?” The excerpts this week come from the section of the book entitled “Inquiry,” which deals with the principles of investigations. In the wake of a crime, everyone turns into a NASCAR fan. They want speed, speed, speed. Speed is an investigation’s best friend and also its worst enemy. Speed is your friend because some evidence evaporates like a puddle in the sun. Memories lapse, witnesses walk, documents go missing too. So you want to get your hands on all the nuggets you can in short order. But undue speed can cause you to overlook evidence or misinterpret it. It can force mistakes. As Tacitus said, “Truth is confirmed by inspection and delay; falsehood by haste and uncertainty.” When you are always racing forward it becomes hard to take a step back. But a stepping back can be the key to a case. An investigator must have a near-impossible balance between patience and impatience. A burning drive to find the truth quickly is essential, but so is a calm resolve to take your time to get it right. For sure, the success and quality of any investigation depends on the experience, smarts, resourcefulness, curiosity, creativity, courage, and doggedness of the people conducting it. But it will depend on something else also – their character. I suppose character matters in some way in all professional endeavors. I’d prefer that the baker or pilot or carpenter be blessed with good character but I’m not sure the cake, the flight, or the cabinet requires more than mere professional skill. Searches for truth and accountability demand something more of the people conducting them – integrity, honor, and independence, among other things. Here’s what else we should remember about investigations: Investigations are hard. And people forget to appreciate that fact. When people see the final product wrung from the mind and heart of an artist or writer or entrepreneur, they often underappreciate the effort behind it. The painstaking, back-breaking, stop-and-go labor is not necessarily evident in the elegance of the brush strokes, the clarity of the prose, or the simplicity of the business model. The ultimate consumer knows little to nothing of the false-starts, dead-ends, winding detours, and other setbacks en route to the final product. The layperson sees the destination, not the journey. The same can be true of investigations. There’s a ready pop-culture phrase to describe how investigations should be done, suggesting it is an easy exercise. “Just connect the dots,” people say. The idea that you can get to the bottom of something through a technique we teach kindergarteners has always been puzzling to me. In connect the dots, so long as you know how to count, you can draw the picture. Even a child can drag a crayon from the first little dot numbered one to the next one numbered two and so on and so forth until some jagged picture of a cow or a barn or a house or a dog emerges. No such luck in a real investigation. There’s no guide, there’s no order, there’s no guarantee that any of the work that you’re doing – dragging not a crayon across a page but your feet all over town interviewing witnesses, issuing subpoenas, looking into financial documents – will yield a clear, accurate, and actionable picture. Let’s not forget: The investigator’s orientation matters. The mindset is key. You must want to find the truth, must want to get it right. All too often, people simply want to win, facts and truth be damned. But to begin an inquiry, when justice is the goal, you must not be wedded to any result, must not have a thesis in advance. To be open-minded means proceeding without a theory. You develop a thesis from the facts, not vice-versa. Why is this so important? Once you commit to a theory or a thesis, it’s hard to let it go. Psychologists are familiar with this phenomenon. People tend to tune out facts that conflict with their original thesis. They will downplay contrary evidence or, even worse, may not even recognize new facts as undercutting their first belief. First beliefs are sticky. Unproven first beliefs weaken your brain and dull your thinking like a fever weakens your body. In any given inquiry, without constant vigilance, obvious first principles are at risk of degrading into facile catch-phrases. You know them all – keep an open mind, don’t prejudge, don’t assume, don’t jump to conclusions, guard against bias. So let’s be patient as we await Bob Mueller’s report and Attorney General Bill Barr’s decision on how much of it he will make public. 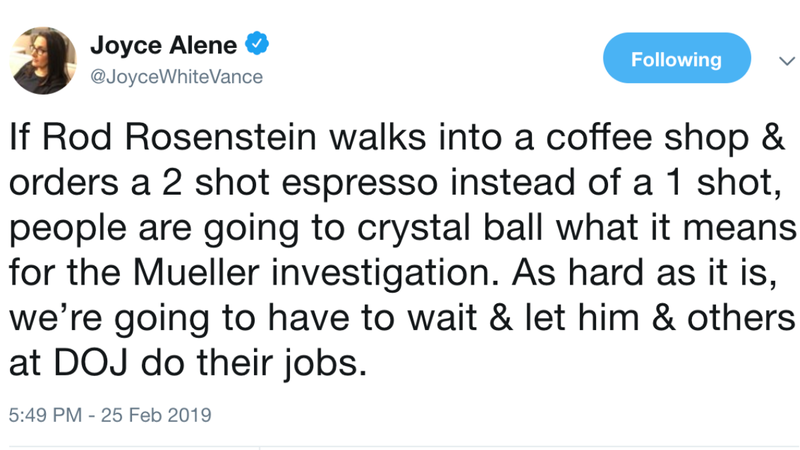 Let’s also exercise patience with all the other investigations unfolding in prosecutors’ offices in N.Y., D.C., and Virginia, and in House Committees. When I went back and talked to the prosecutors in my office and I thought I was well versed on those cases, I knew about the formal legal pleadings and about the judgements that had to be made. I knew what the statutes were, but I didn’t know the details of the stories. . . In some ways I was gratified that I was able to do this book and learn the details and be able to weave together the stories. But also, I was sad that I didn’t take the time, when I was in that office, to learn the human details of things. And to me, there’s a larger lesson that whatever job you have, whether you’re a teacher, a lawyer, a businessperson, an engineer, there’s so much more richness in all the things that you do and you can let it go by, because you’re so interested, like I was, in just getting to the result, in making sure that you’re making the final decisions and moving onto the next thing, that you can lose texture. If you haven’t already, ORDER your copy of Doing Justice, also available as an audiobook. 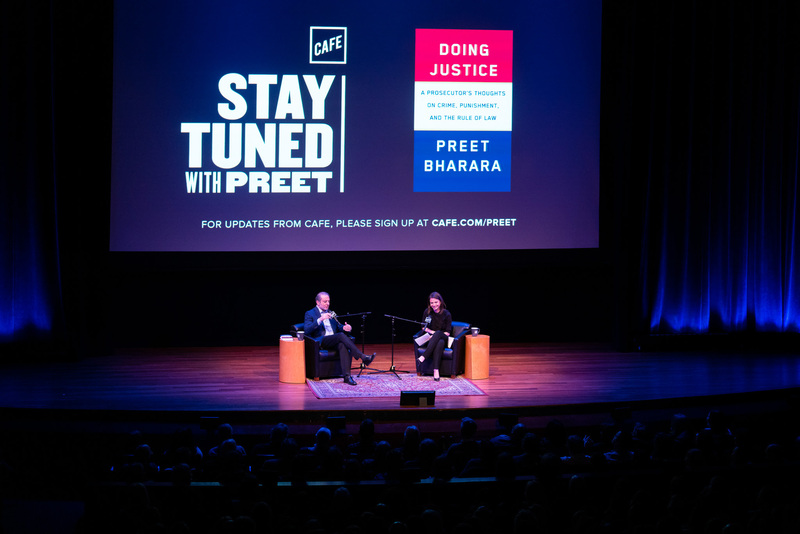 Early sales often determine the success of a book, so thank you to everyone for showing your support and joining Preet and the CAFE Team in our pursuit and exploration of justice. 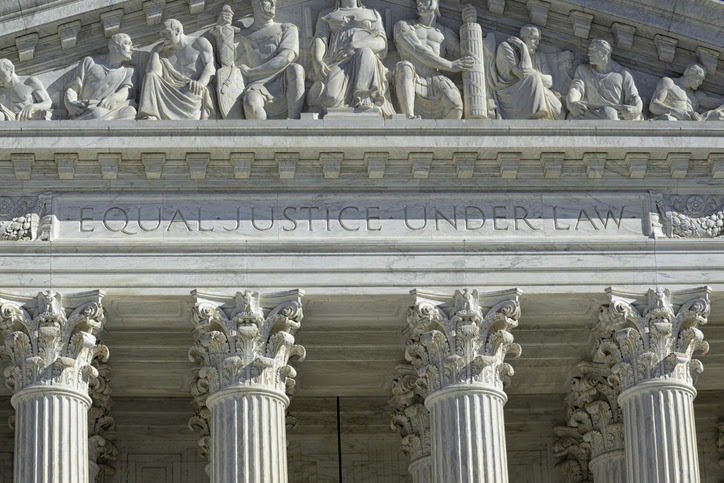 Today, the Supreme Court heard oral arguments in Flowers v. Mississippi, where the defendant, Curtis Flowers, is on death row for killing four people in 1996. Flowers argues that his constitutional rights were violated when lower courts failed to consider the “lengthy and stark” history of racially motivated peremptory strikes exercised by the state’s District Attorney, Doug Evans. The Mississippi Supreme Court in Flowers deemed the reasons Evans offered, which were unrelated to race, “neither directly contradicted by the record nor squarely applicable to a white juror he did not strike.” But Flowers argues that looking at the prosecutor’s record of peremptory strikes would show that racism was the motivating factor for his lengthier questioning of potential African American jurors and his decision to strike all but one of them. If the Supreme Court agrees with Flowers, it will overturn his conviction for multiple murders. And check the Supreme Court website on Friday when the audio from this week’s oral arguments will be made available. Sometimes, the drama of the courtroom is best captured in movies. 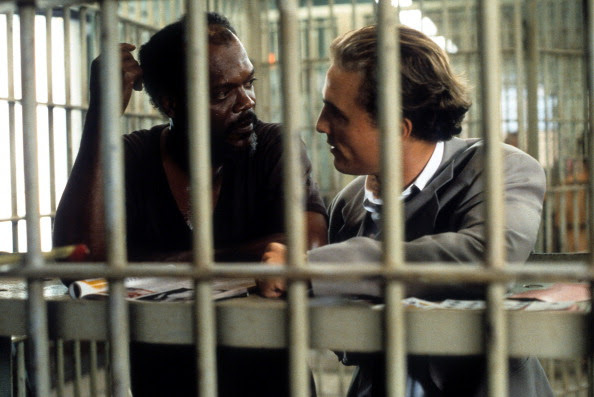 Last week, we highlighted famed defense attorney Clarence Darrow’s closing argument in the 1925 murder trial of People v. Henry Sweet, calling it “one of the most beautiful summations ever spoken.” This week’s focus is on another summation, this time from the 1996 film, “A Time to Kill,” based on John Grisham’s first novel. What are the challenges of fighting domestic extremism? Under federal law, there is no offense of domestic terrorism that covers far-right extremists who engage in violence, such as shootings. These individuals are often charged under state hate crime statutes. Federal law defines domestic terrorism as activities that involve acts dangerous to human life that are a violation of the criminal laws of the United States or of any State; and appear to be intended to (i) intimidate or coerce a civilian population; (ii) influence the policy of a government by intimidation or coercion; or (iii) affect the conduct of a government by mass destruction, assassination, or kidnapping; and occur primarily within the territorial jurisdiction of the United States. (18 U.S.C. 2331(5)). This statute, however, does not impose penalties. There is an extraordinary amount of intelligence gathered by the US and its allies in the effort to prevent terrorist attacks. However, privacy laws and regulations limit that amount of information that can be shared. Another challenge arises when the potential for future harm is clear but no action has been undertaken to further any given crime. For example, in the case of the Parkland’s Marjory Stoneman Douglas High School shooter, there were warning signs that he might engage in violence, but authorities could not take any meaningful action since he hadn’t yet crossed the line of illegality. The question then becomes: what is a thought crime versus an actual crime? Preet writes about this quandary in his book that tells the story of an aspiring cannibal whose conviction was overturned because the judge deemed his ruminations about torturing and eating people mere fantasy. What role did cooperating witnesses play in the investigation into the college admissions scheme? As the WSJ reported, the bribery scheme came to light after an individual being investigated in an unrelated securities fraud case informed federal authorities that the coach of Yale Women’s soccer team had solicited a bribe from him. 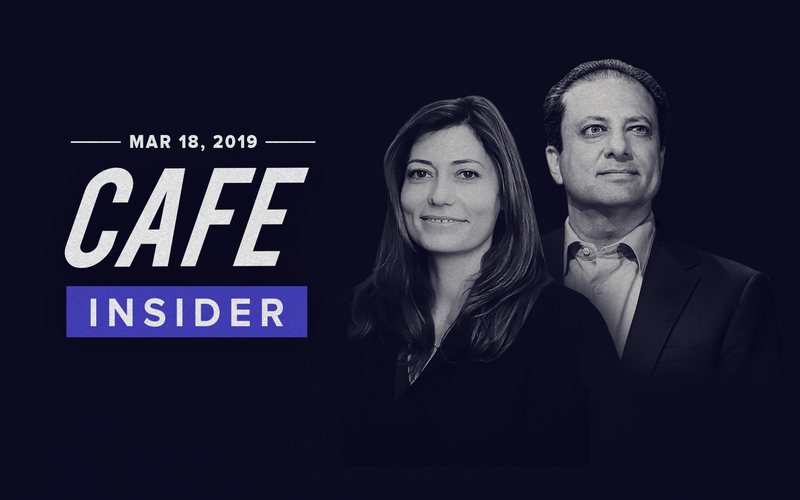 That information led investigators to William Singer, the mastermind of the criminal scheme, who began cooperating with prosecutors after learning that he was under investigation. The process by which law enforcement uncovered this scheme is common – authorities squeeze a target who has an incentive to give investigators a bigger fish to fry in exchange for leniency. Typically, prosecutors will want a cooperating witness to testify against someone higher in the criminal food chain. Sometimes however, you want to get the top dog first as was the case here with Singer who was at the center of the conspiracy and thus helped bring down the entire broad-based network of wrongdoers from coaches to administrators to parents. Please note: you may now manually add your unique feed to your favorite podcast app. Please sign in and visit the My Account section of the site. There, you will find the Podcast Link just under the words ‘My Account.’ Confused? Here are instructions for adding the feed. Joyce Vance is a former U.S. Attorney for the Northern District of Alabama. Follow her @JoyceWhiteVance for the latest news analysis of investigations and other law enforcement matters.